Yahya, April’s classmate, stood behind the bikes aligned just inside the west gate, shifting his weight from one leg to the other and facing away from where she and I approached. She called his name and he turned, exposing a tall nose, green eyes, and an evidently well-loved mustache. 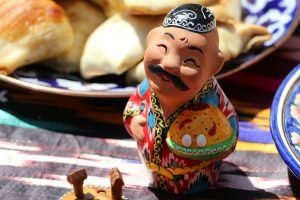 An identity marker, however small, that pencil thin mustache conveyed his ethnicity – Uyghur, the second largest group of Muslims in China. I offered my salaams to his back and he returned them over his shoulder as he lead us across the street to a qing zhen (请真: Chinese for halal) restaurant where we would share dinner. “Why you come to China?” I remember, was the first question he ever asked me. “But in Beijing?” The slight smile remained. “We believe in something!” she declared. At that, his mustache thinned with the blossoming of his grin. “So, please,” he motioned towards her, “pray to Mao for us, say xiexie for the food.” She smiled yet reddened, balling up small napkins one by one and throwing them across the table at him as he laughed himself into his hands. Being Muslim in China boasts about as much uniformity as being Muslim in America, i.e. none whatsoever. I came to China under a fellowship to research the perception and expression of modesty among Muslim women in China, and where there exists no uniformity within a supposed Muslim experience in China, there is even less of such uniformity within being a Muslim woman in China. 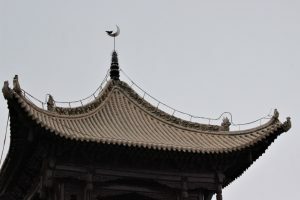 Saturated with contradictory ideological hues of filial piety, legalism, Daoist nonaction, and more, many practices of Islam in China give way to new forms of religiosity often very little seen in other contexts. 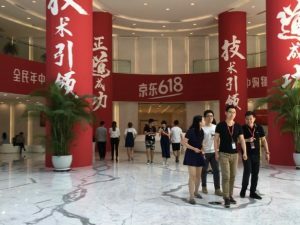 Here, in Beijing especially, you’ll encounter the Hui, the Uyghur, the occasional expat, and the less-occasional Han convert, each of whom will tell a completely different story from the next of what it means to be Muslim in China. 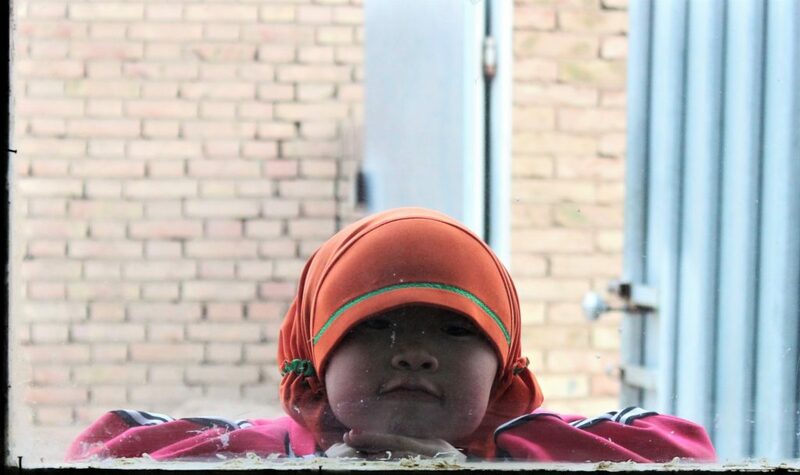 Hui’s are the largest group of Muslims in China with populations in every province. They themselves identify as descendants of Arab and Persian traders who wandered and settled into China from the Silk Road. I was fortunate enough to grow close with two Hui girls during my semester abroad: the first I met at Niujie mosque in Beijing, and the second I met at the library on campus. 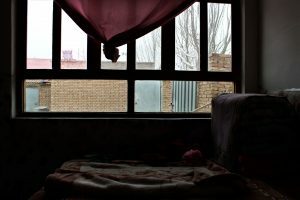 The first, Violet, showed no hesitance in inviting me to her family’s home in rural Ningxia, fifteen hours west of Beijing by train – an invitation I would act upon precisely one week after meeting Yahya. I would message him over WeChat midway through the journey to ask in my anxiety how he does salah, the Muslim prayer, while on trains. Blame it on my inexperience: I purchased a ticket for a seat as opposed to a bed thinking such would be sufficient. Yet in the crowded last cars of the train, where some middle-aged men purchased tickets for standing-room-only on this overnight journey, I sat as the obvious sole foreigner amidst a bloom of Chinese. Adding to all this, I never travel with my hijab; my passport photo displays me without it. So when a policeman took my passport and flipped through every page before the train even embarked, I froze. The main photo may show an image of me without hijab, but my Italian visa from last semester dons an image of me with hijab. When he inevitably discovered this dissonance, his fingers jumped between these two pages, these two contrasting images of me. He looked to me and laughed before sauntering the entire length of the train car to show every patron already craning their necks. He shouted jokes about this silly foreigner – is she American or Arab? – and how she’s going to get her passport stolen if she dares sleep tonight. I froze to my seat and thought of ways not to panic so suddenly, before the train even left Beijing. I slipped my passport into my shirt the moment I had it back in my hands. I wanted to pray isha. No isha, Yahya would message back. It’s okay. Or in your seat in your head. Don’t worry. I played Al-Fatihah on repeat from my phone and shamelessly draped my hair over my face – a veil from the standing-room-only men in front of me, beside me, behind me. All with their phones out, taking photos. “Oh, are you Muslim?” I asked. “You must not like salah very much,” I said, standing up. Her face drained. For many of the Muslims I encountered in China, prayer and peace stand as focal points of their Islam. As far as modesty is concerned, between both women who wear hijab and women who do not wear hijab, very little is made of their physicality. Rather, almost all discussion of modesty focused primarily on salah and the attainment of peace through salah. Where language falters and cultures contradict, no matter the barrier, salah amends those grounds. Where I held slight language hurdles with my Chinese-speaking Hui friends, such hurdles stood taller when with my Uyghur friends who themselves have a native language and often speak Chinese as a second language, making English their third. Despite the ever-widening language barriers though, Yahya volunteered to be my guide to jummah every Friday in Beijing. Some Fridays our commute would include only him and I. Other Fridays, he would have one to three other Uyghur friends. And one Friday, we had a small crowd of seven chatting earnestly with one another in a mix of three languages on the bus over. The people, the stories, the encounters – they all go on. I could talk myself in circles with these tales that truly contain almost no other purpose besides the oftentimes silly joy they contain. In a matter of four months, I’ve found ummah here. My Muslim friends no longer ask why I came to China. I suppose it may seem self-evident after knowing me over these months – perhaps they cannot imagine me in any other place besides China. I certainly can’t. This, they know. And so, with just a little over a week until my departure, I am instead met always with the question: When will you return?